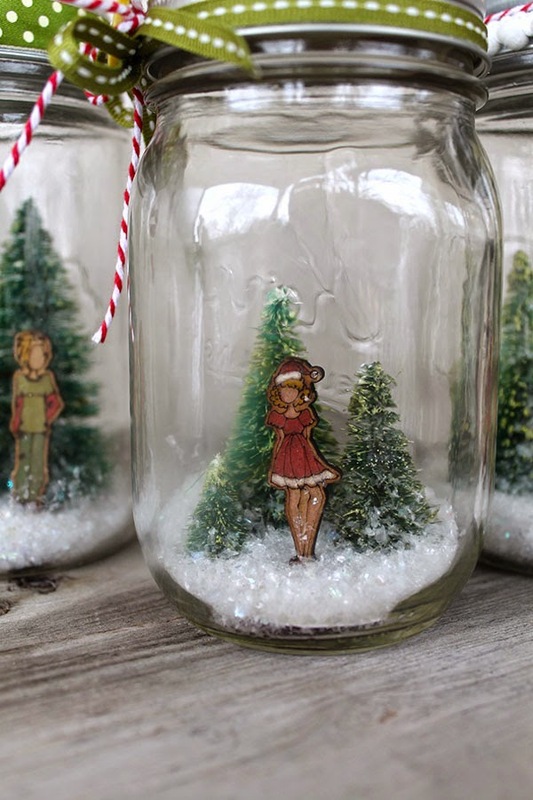 In the Mini Wood Doll jar-you get an assortment of guys and gals, for different seasons, holidays, styles and themes. First of all-they are adorable on their own! But of course you want to customize them for your projects too. 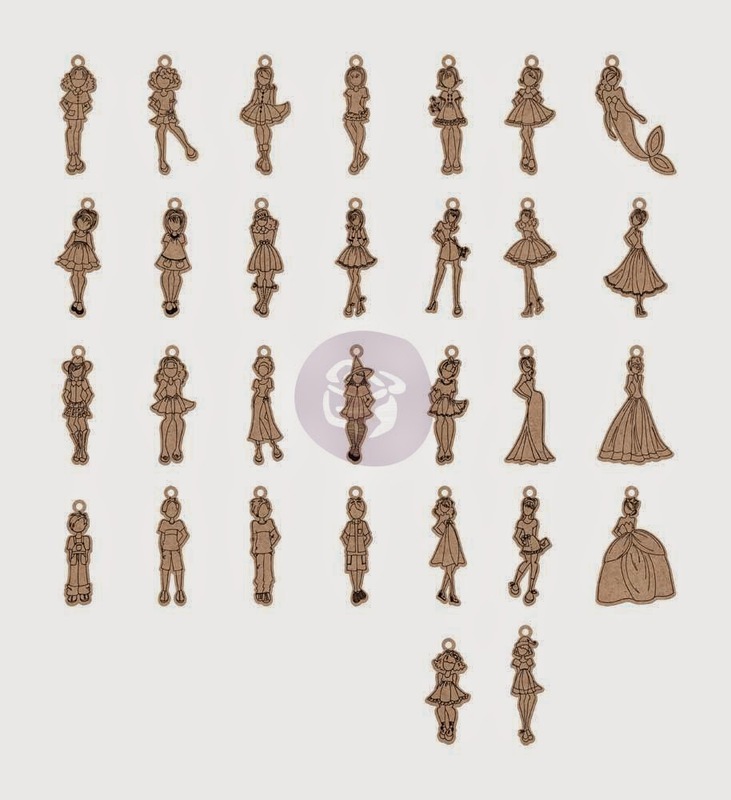 There are 30 dolls in the jar, so you have a variety of dolls to choose from and use for multiple projects. I tested and colored the dolls with a variety of markers and pencils to see what effects I can get on the wood surface. 1-PITT Pens by Faber, especially the White. This white pen showed up the best but you did need to add more than one layer. It is also a great primer before adding colors. 2-Sharpie Glitter Paint Pens-so fun and glitzy! The sparkle is amazing as well as the color. 4-Colored Pencils-these work well-but dont press too hard-the wood begins to splinter. 5-Copic Markers-color is good and you have lots of choices colorwise too. Prepare the dolls! Cut off the little circle at the top with scissors. I dabbed the now bare cut off area with a dark brown ink to match the rest of the sides of the doll. Walnut Stain Distress ink by Ranger is a perfect match. Color as desired...test colors on the backs of the dolls to see how they will look. Once you have your little people colored and "dolled" up for a project-the sky is the limit! 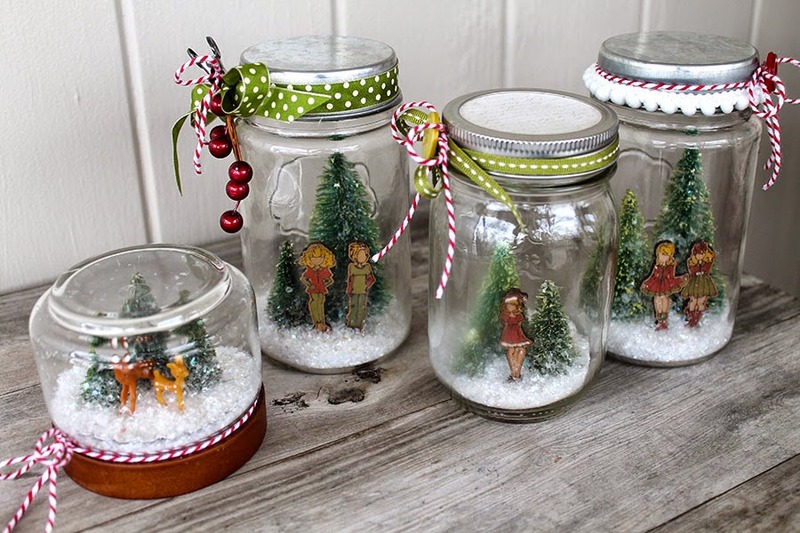 I found these jars at Target in the dollar section and in Michaels. 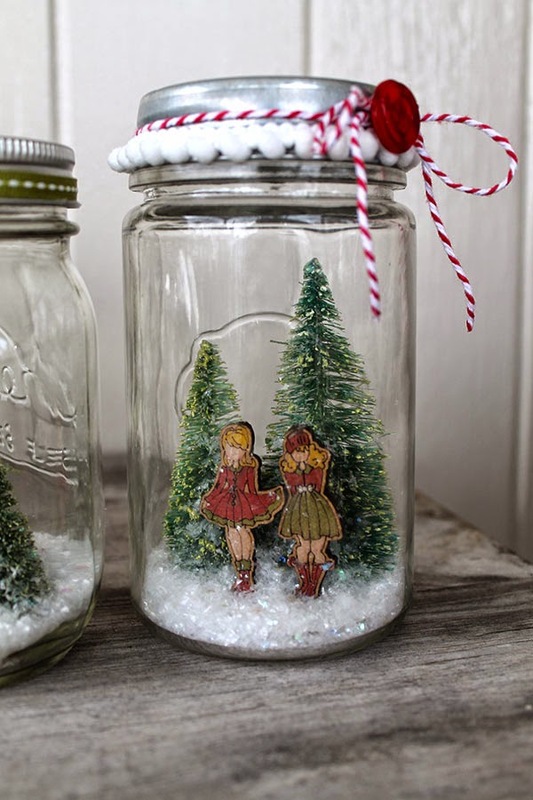 I needed to find jars that were plain-no designs and minimal script on the glass. Wash the jars before creating your project. They are dirtier than they look-inside and out. I bought sets of little sisal trees at Hobby Lobby and Michaels. 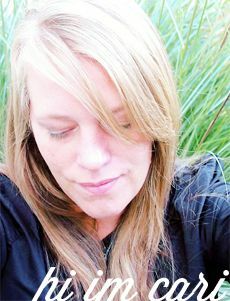 I got the green ones and added an accent color by spraying them with Lime Wedge Color Bloom spray. The two-tone green looks cool and matched the colors of green I used on the wood dolls too. 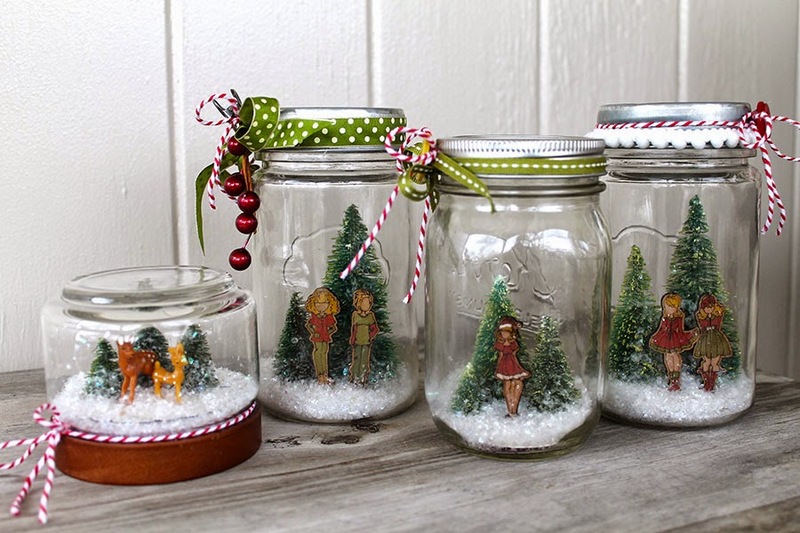 Gather up fun trims, twine, ribbon and little accents to add to the tops of the jars. 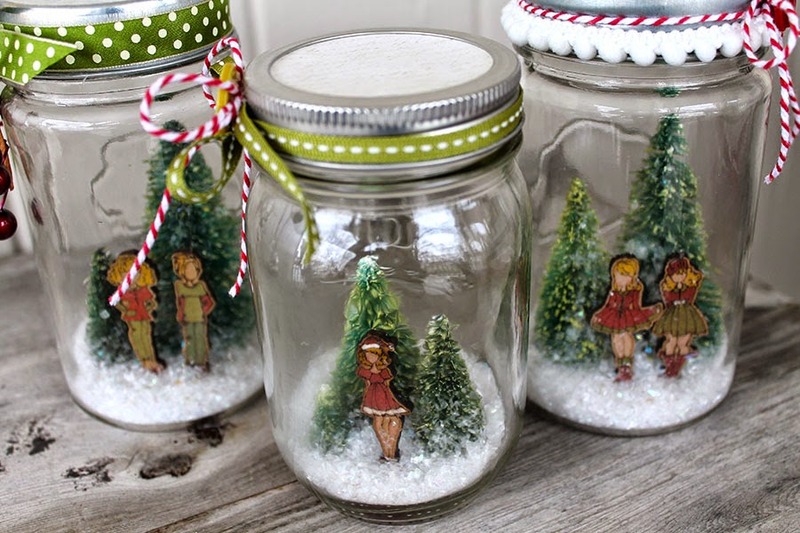 Wouldn't these be cute to give to a family and dress up the dolls to look like their kiddos? I punched out paper circles using my Marvy circle punch, then hot glued the dolls and trees to the paper. Test the size of the circle to make sure it will fit in the jar first-adjust size as needed. 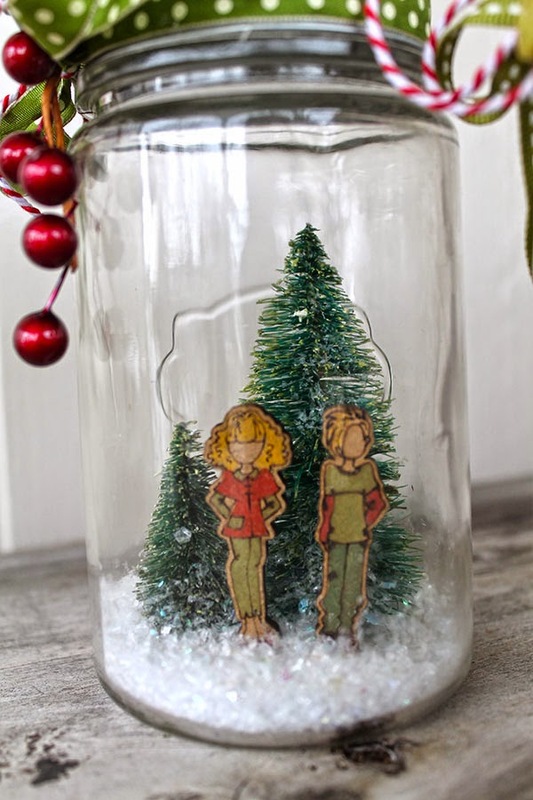 Add a strong glue to the bottom of the jar and slip the whole scene into place. Then add enough snow to cover the paper and bottoms of the trees and dolls. Add pom-pom trim around the lid using a strong glue along with bakers twine and cute button. 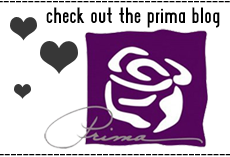 A tag with a stamped sentiment would be nice too! Add two or three trees varying in size for added interest. I love the look of clustered trees. This little jar is the actual packaging the wood dolls come in. 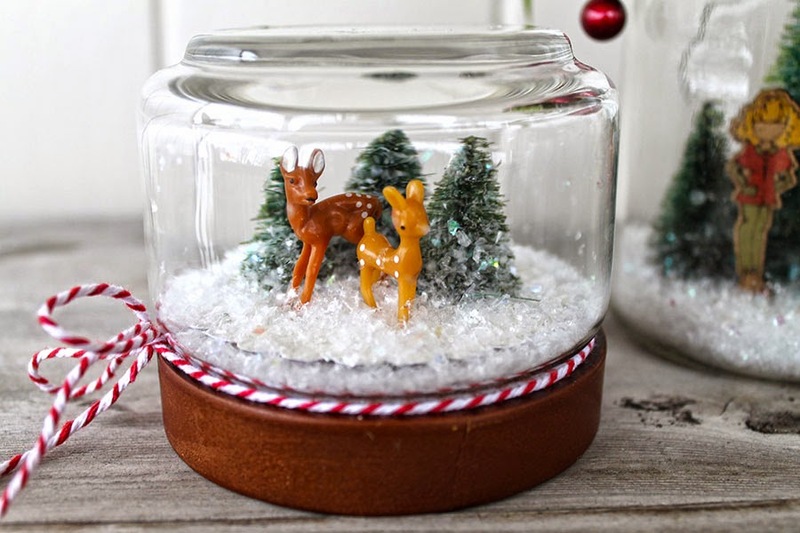 For this, I glued the tree and deer to the paper circle and glued the scene to the lid of this jar. Add snow to the glass, then place lid on top of glass and turn upside down. The little deer can be found at Michaels in the miniatures section with the Christmas stuff. Four come in a pack and the brand is Art Bin. So here they are, bunched together, looking so cute and festive. You could add stringed lights around them or display on a pedestal or tray grouped together. 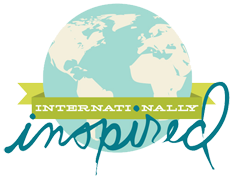 Hope you enjoyed this post and it got you inspired to create some of your own!